This website is generally aimed at 7-11 year olds, but it may have relevance to any age above that, including adult weather enthusiasts. 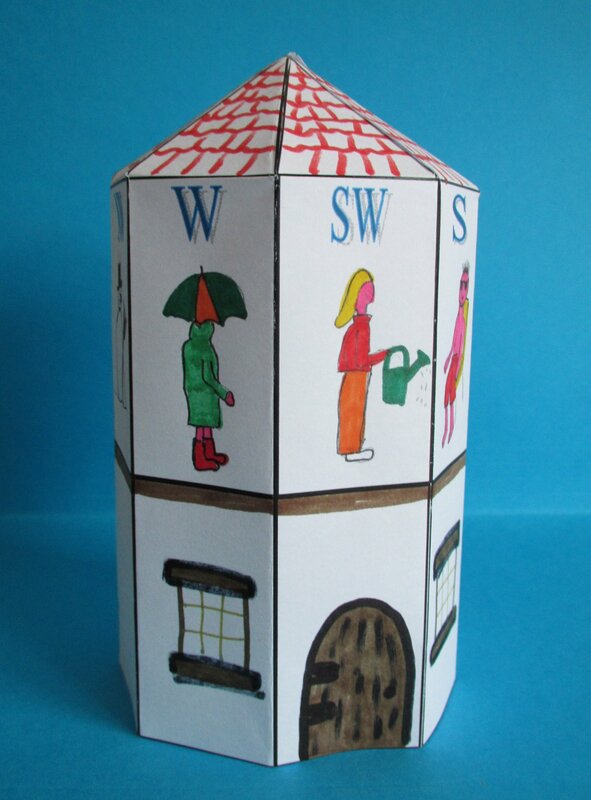 There are several pages of activities for younger weather enthusiasts. These are called The Under Fives. Running a weather station and keeping a record of the weather is both educational and interesting. This website will be useful to see what Basic Apparatus you will need, learn how to make a Weather Box and to learn more about Setting Up. The Quizzes provide a few interactive activities to test the ability to read scientific equipment. See a list on the right. If teaching about the use of ICT in the real world there are two pages on this; ICT and the Weather and More About ICT and the Weather. The weather is a wonderful source of inspiration for poetry. Taking a picture of a weather scene and gathering other vocabulary around it can be a super stimulus. Another super resource for writing weather poetry is Poem Maker. This is a free resource on the ictopus website. Some files for this are included on the right. There is a sheet for gathering the relevant vocabulary, one with teacher's notes and one without. There is also a txt file of words to load into Poem Maker. 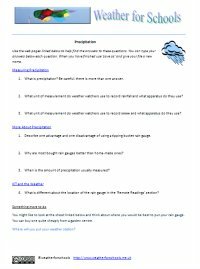 There are two pages on using ICT with the weather, but there are also lots of other references. The two ICT pages are linked in the section on the right. 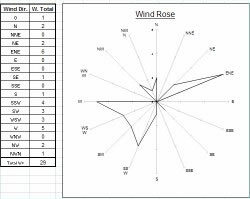 Another main area relating to ICT is the weather data included as spreadsheet files. These are on the Weather Data Page. Some of these files contain data, others are blank ready to have data entered. They contain formulae, graphs and useful headings. The graphs have been designed to aid error checking, and to enable useful comparisons. Gradually data for the year is being added. 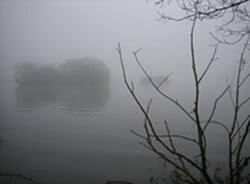 The first data on this site is for January 2009 and is provided as a basic example and a standard example. Using the website alone is helpful in developing web navigation skills. There are pages to navigate, links to follow, videos to watch, internet safety rules to obey and files to open. On various pages there are webquests, which are sheets with questions and links to the pages where the answers can be found. These have been left in MS Word format so that the hyperlinks can be used and the answers amy be typed in if desired. They can then also use 'save as' to save their work. A full list of the webquests can be found in the files section of the Contents Page. One example is shown on the right. If you would like to celebrate your interest in the weather with your whole school you might like to look at the Whole School Weather Day. It has ideas and supporting materials for every year group in the school. Each year group works on a different type of weather reading and researches the weather in a different location. The day culminates in a whole school presentation where the various classes show their work and feed back on their research. If you do use this material do send us some pictures of what you did and tell us what worked best. The picture on the right is an example of one of the art activities. Think about the weather in music. There are links to some windy songs on the Windy Words and Actions page. Search for relevant songs on Amazon, listen to previews, or buy the MP3 files often for less than a pound. Sections in classical music can often me inspiring. 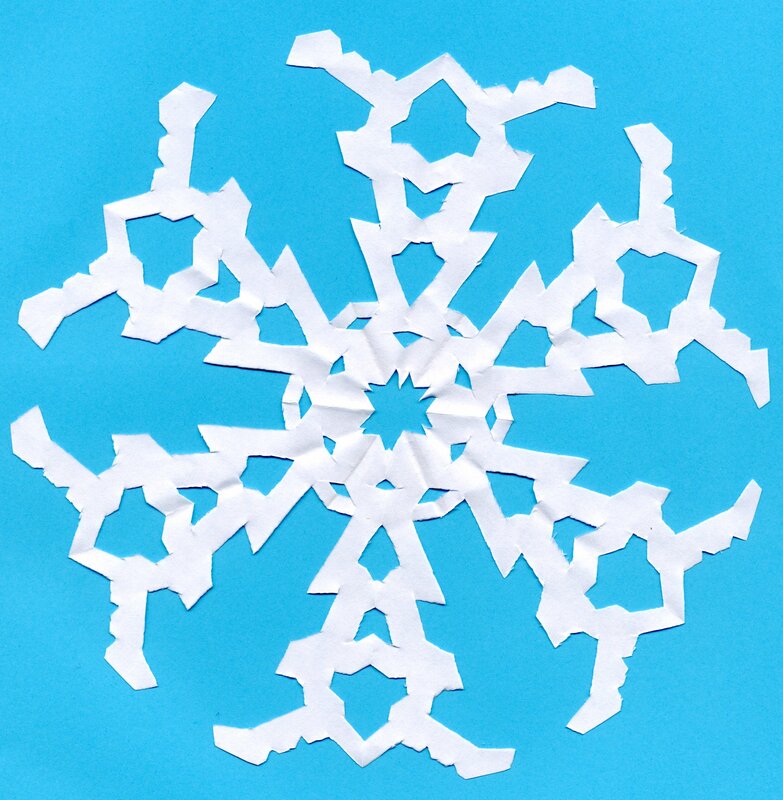 Try the Winter section of Vivaldi's Four Seasons or the 4th movement of Beethoven's 6th Symphony (a storm). 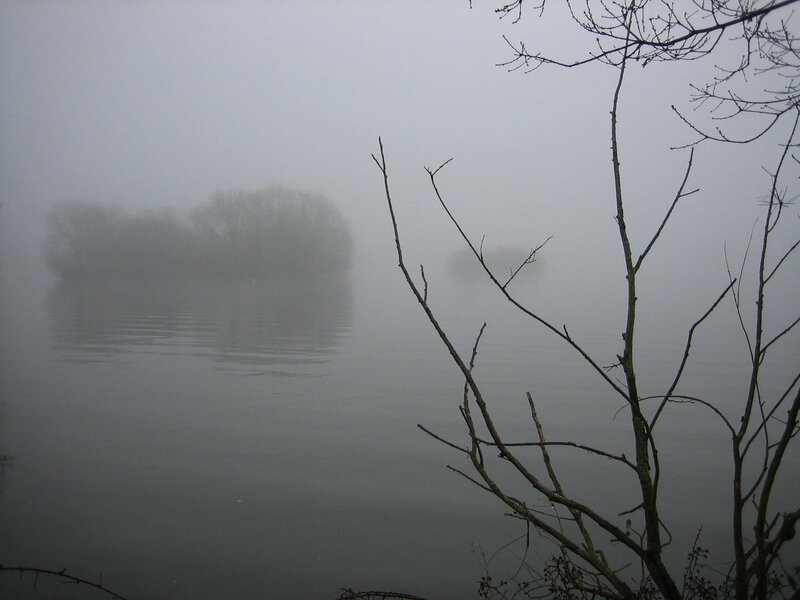 As well as considering storms, think about the quiet hushed sounds you might hear in fog. This will need a very different type of instrument. Rainbow music could incorporate both sunny and rainy weather! Try out a variety of percussion instruments. Discuss what sort of weather they could be used to represent. Work in groups to compose a short piece. Use pictorial representations to record a score. You could record the finished compositions and share them with the rest of the schools as a podcast. 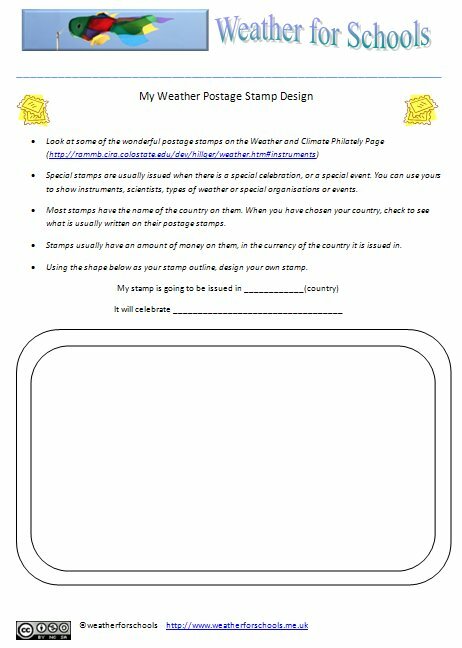 Look on the General Interest page to see a link to website with lots of weather stamps from all over the world. The 'Things to do' section gives you an idea of something creative and arty for you to do. Edition 131 of the ictopus journal (SGP) will contain a description of the coding facility of 2simple’s DIY. 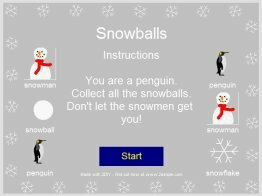 Here is a version of the Snowball game where the snowflakes get bigger the higher your score. The coding is shown in the ictopus article. Click on the picture above to try out the game. If you would like to make paper snowflakes that have six points just like the real ones go to the Below Freezing page. 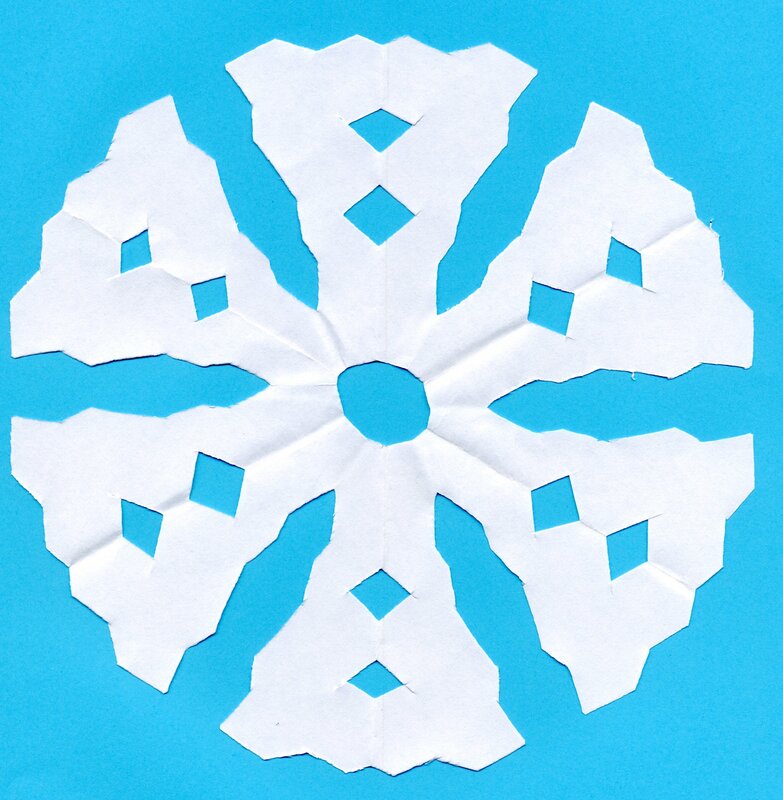 You will find all you need to start making super snowflakes like the one on the right. After a while you may even be able to make more complicated ones. The Tower of the Winds in Athens is a building which reminds us that the Ancient Greeks were interested in the weather just like us. They built a tower that had an octagonal floor so that there was one wall to illustrate each of the eight winds. It also had a water clock inside it, and a sundial on the walls. There is a page about the Tower of the Winds. There you will find lots of activities and resources. This includes designing and making your own Tower of the Winds. Taking artistic weather images is great fun. 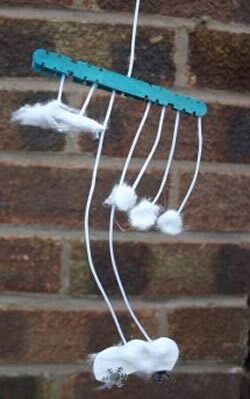 Some ideas for using them in a creative way can be found on the General Interest Page. The example on the right shows a cloud image with a 'hot wax' effect. 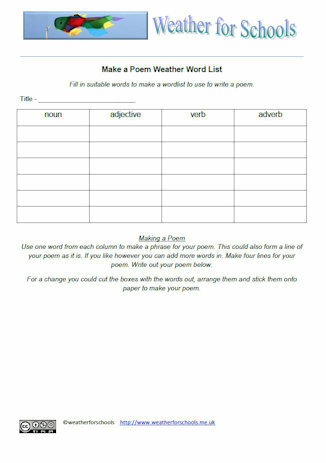 This sheet provides two grids for filling in the words needed to make a poem with or without Poem Maker. This sheet provides a grid for filling in the words needed to make a poem with Poem Maker. It also has notes to help with using Poem Maker. A Poem Maker word file. Open this in Poem Maker. This is where Poem Maker is located.it is in the activities section. You will need to register, but registration is free. 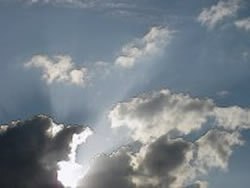 There are many weather pictures on this section of the ictopus site mentioned above.